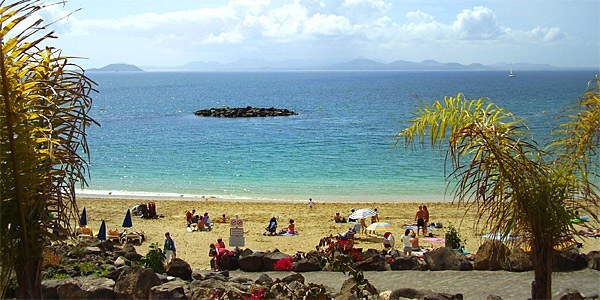 Desperate for some sunshine, our Assistant Rates Manager Olivia decided to head to Lanzarote for guaranteed good weather, volcanic landscapes and plenty of cocktail-fuelled down time, roping in her mum and sister for a girly getaway. I had always been wary of “Lanzagrotty” – that was until a couple of years ago, when a last-minute family holiday completely altered my opinion. The easternmost island in the Canaries is affordable and has something for everyone – even the Camerons holidayed there in 2014! 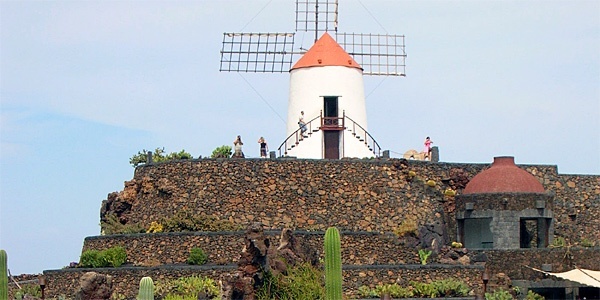 White-washed villages, coloured shutters and impressive sculptures are dotted around the island, which is blissfully devoid of high-rise buildings thanks to the influence of native architect César Manrique – a welcome omission in a tourist hotspot! Our trip began in the bustling Marina Rubicon, just east of Playa Blanca. Less touristy than its popular neighbour, with stylish bars and restaurants overlooking the water, it’s the perfect spot for tapas washed down by the local digestif, honey rum (a sickly sweet liquor that’s something of an acquired taste! ). We loved the busy Saturday market which runs along the length of the marina. Here you can pick out local products, handmade soaps and jewellery from amongst the usual jumble of souvenir stands. 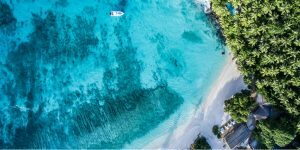 The beauty of this little island is that nothing is more than an hour’s drive away along mostly deserted roads, and from the southern tip we then moved on to Tiagua 81, a converted 19th-century country home which now houses self-catering apartments clustered around a communal pool. 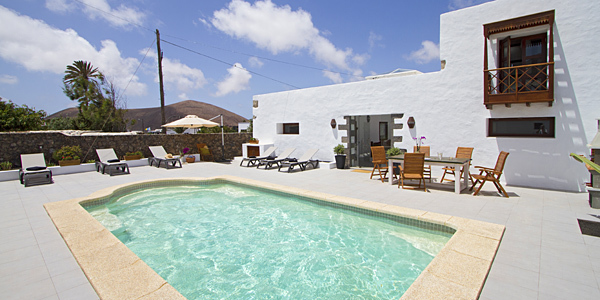 Set within 5km of Timanfaya National Park, it’s perfect for active holidays, with a store room for sports equipment, a wetsuit shower, and four popular cycle routes on the doorstep. But if, like us, you don’t like to stray too far from your sun lounger, then don’t be put off! We enjoyed a lazy day by the pool and made the most of the handy little kitchen – perfect for preparing light meals and keeping wine cool. From this central location you’re within easy reach of some of the island’s best beaches, too. 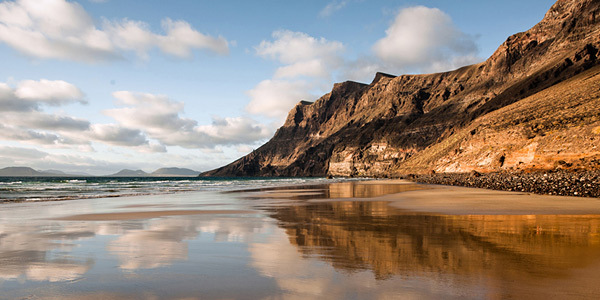 Surfers’ paradise La Santa is a 10-minute drive away and sunset hotspot Famara beach is only 15 minutes further up the coast. 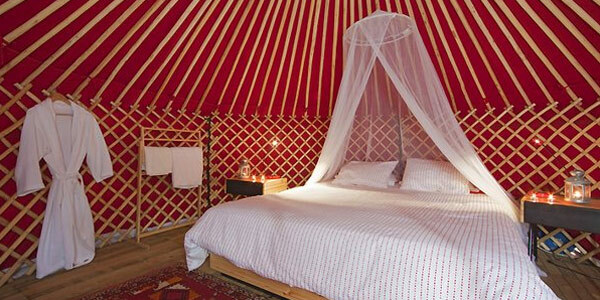 After our stay at Tiagua 81, we couldn’t resist popping to see the yurts, cottages and donkeys at its sister property, eco retreat Finca de Arrieta. It’s a great choice for families and we were overwhelmed by the on-site facilities for kids – we only wished we were still young enough to bounce on the trampoline! 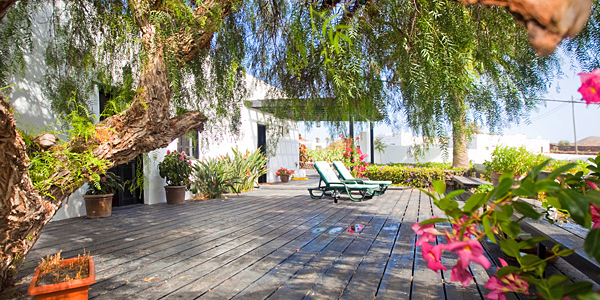 Our final stop was the idyllic and stylish Villa Guatiza. 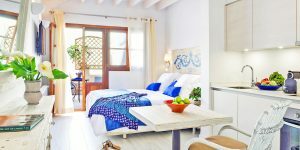 Set in the northern village of Guatiza, this 200-year–old, two-bedroom farmhouse has been beautifully restored and is the perfect base for a laid-back self-catering stay on the island. Best of all, with the beaches and seafood restaurants of Arrieta less than 10 minutes’ drive away, you can do as much or as little as you please. We struggled to drag ourselves away from the lovely gardens, the heated pool and the panoramic views from the front terrace. 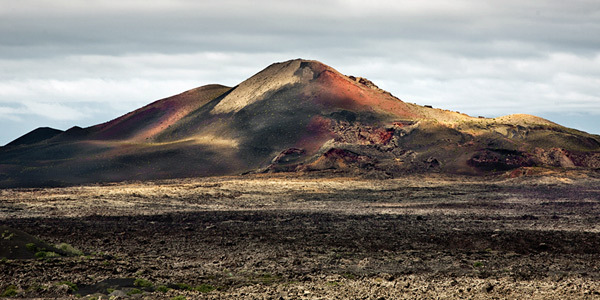 So, far from being grotty, our visit confirmed what we already knew about Lanzarote – this is an island worth visiting. Apart from the year-round good weather and lovely beaches, it has plenty to do for people of all ages, whether you fancy cycling across the moonlike landscape, exploring one of the busy markets, admiring César Manrique’s legacy or just sitting back and sipping cocktails at sunset.